As the 2020 Hyundai Sonata gets ready for its unveiling, Hyundai its also giving a new update to their Android App to control some of the New features you’ll be able to enjoy in the future. When you buy a new Hyundai, most of you will be given a Trial period of the MyHyundai App, with this app you can check the Vehicle Status, remote start your Hyundai but also Lock, unlock, flash the lights, or use the horn and lights, and lets not forget setting the right temperature for those Hot and Cold weather conditions. Of course you can also schedule your next service appointment, find your car, check monthly vehicle report and but not least send POI to the car. 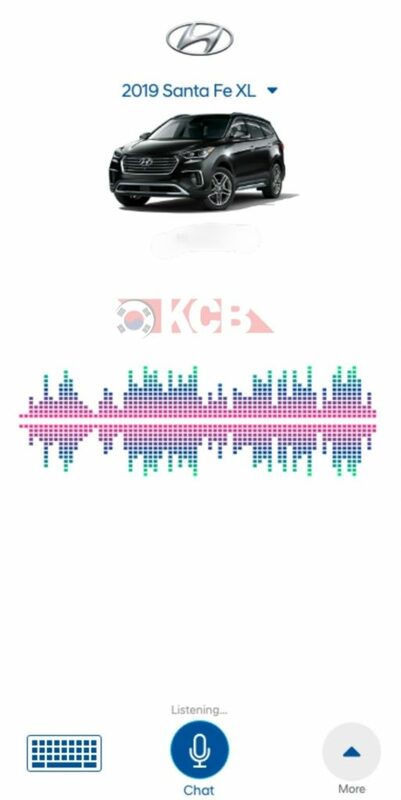 Yesterday Hyundai Motor Company released a new update to their Android application in Korea giving a lot details of what this new app can do using NFC and Bluetooth communication. We wont over in details of everything, you can probably read it from the pictures but lets list some of those things. Lock and Unlock Door Via NFC. Vehicle Status Information via Hyundai Digital Key. Vehicle personalization settings by users via Digital Key. One very important message Hyundai points out on this application, this is not available for Apple’s device due to their NFC non-compliant policy. This could mean a very big disappointment for a lot of their users here in the USA. Recently we received new information about Hyundai trying to update MyHyundai app but they were completely sure which to pick. They have at least 3 different type of interfaces that the user can interact with. They are called Feature Forward, Smart Dashboard and Straight Talk (from left to right). 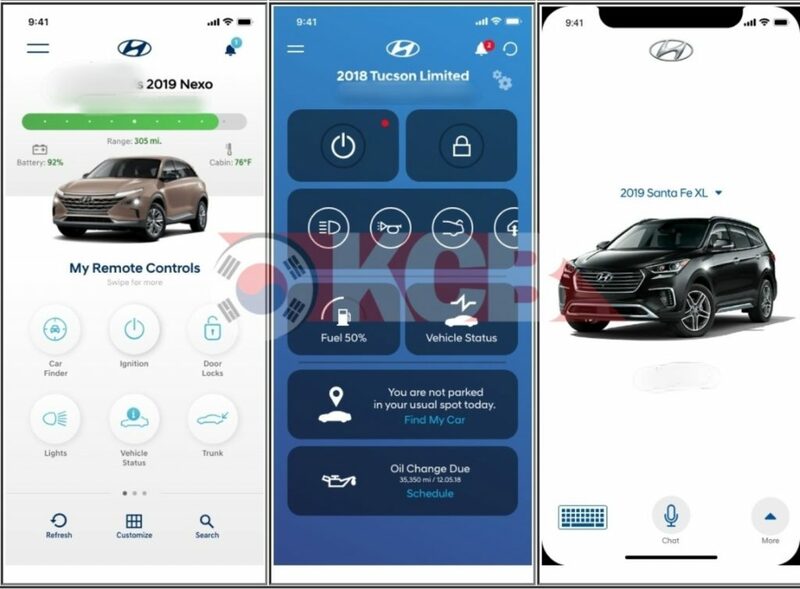 interface looks very similar to the new app Hyundai Motor Company released, everything is refresh with new icons with white background and lots of information about the car, in this car the 2019 Hyundai Nexo. We see a new icon which allows you to open and close the trunk but at the same time it gives you the option to customize some of those buttons which is not available on the current app. The Interface keeps the Blue and white theme with more square and rectangular icons much more easy to recognize. This interface gives you much more information of your car, such as fuel gauge, oil change due and find my car (it even tells you if you are not parked in your usual spot, unfortunately now days it doesn’t sound scary anymore). Second another screen you can control the shutoff time of the engine, climate settings for temperature and you can even activate windshield defrost and seat cooling and heating (maybe). Third screen shows the customization of your remote by arranging your favorite to primary and secondary sections. I believe this pretty much explains itself, everything is control via voice command, still gives you the option to click buttons in the app by swiping up from a bottom drawer. The icons are much smaller but it gives you the option to pick almost all of the same options as the others.